Should one be able to catch the essence of what the beautiful Cannes represents for most of its visitors, the best word to service this task would be liveliness. Indeed, Cannes bristles with bustle, everyone trying to make their way through in order to get to relax on the sunny beaches of the resort, or to benefit from the wonderful shopping opportunities or, why not, to indulge in the pleasant culinary offer of the numerous restaurants and eating venues of the city. But if daytime might seem a little to eventful and crowded for visitors interested in a rather cannier approach of what Cannes has to offer, from a tourist point of view, then one should wait and see what the city turns into at night. Indeed, it seems as if Cannes never sleeps. This resort somehow seems to find the necessary resources for staying awake even at five o’clock in the morning, but the fact becomes easily understandable once the tourist gets acquainted with the many venues which enable such a sparkling nightlife, both along the renowned Boulevard de la Croisette and in any other area of the city. 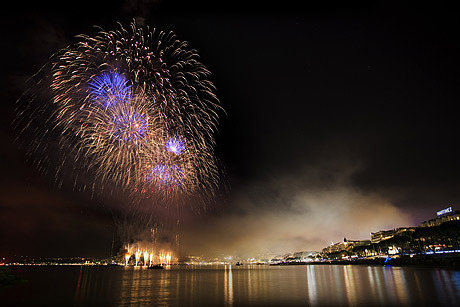 Thus, the large range of bars, pubs, casinos and clubs brings out the best of the joy of life in Cannes. Casinos, to begin with, are perfect for spending time and gaining, regardless of the actual winnings, the thrill one always gets out of gambling. Casino Croisette, located in Palais des Festivals, is the most reputed of all similar venues in Cannes, but it is closely followed by other establishments: Casino des Prices (Noga Hilton, 50 Bd. de la Croisette) and Palm Beach Casino (Place F-D-Roosevelt, Pointe de la Croisette) count, too, as some of the first hand casinos in the world. As far as dancing clubs are concerned, Palais Club (Palais des Festivals) is said to be one of the most frequented in Cannes, given its trendy dash and eventful calendar. However, Disco 7 (7 Rue Rouguière) is not to be overlooked if in the mood for the more special experience of blending in with both straight and gay clients, all enjoying the transvestite shows regularly put on in this club. A noteworthy presence is Jimmy’z (Casino Croisette) which impresses by its huge terrace and sparkling dance floor. Le Zanzibar (Rue Félix Faure) is the best known gay bar, being at the same time the oldest of all, and it should prove to be at hand, as the case may be. Morrison’s (10 Rue Teisseire) is a good option for those who opt for mere pubs or bars and, besides its specific Irish dash, it is also a place that occasionally hosts live music performances. It is extremely popular with young tourists. La Chunga (24 Rue la Tour Maubourg) and La Frégate (Boulevard Jean Hibert), as well as Loft Bar (13 Rue du Dr. Monod) and Z Plage (73 Boulevard de la Croisette) are perfect for those who want to enjoy good quality drinking and conversing in the company of their friends. Le Bar des Célébrités (Hotel Carlton, 58 La Croisette), Le Brumel (3 Boulevard de la République) and L’Amiral (Hotel Martinez, 73, La Croisette) are excellent if in the mood for listening high quality live music, especially for piano enthusiasts.